Thanks to some new pools submitted by swimmers like you, Swimia.com is increasing in the everyday number of stored pools. Please do not hesitate to contact us in case you uncover any Schleswig-Holstein Pool with inaccurate or incomplete data. We most likely don't know all the Pools in Schleswig-Holstein. Are you missing any? Contact us!. Regular users of the following Schleswig-Holstein Pools told us one of the most critical thing about swimming would be to control your breathing. At times this is not achievable since we raise the neck to breathe and the body is not aligned. To avoid this, our head should be aligned with our spine all the time. Swimia.com wants your feedback on Aquagym in Schleswig-Holstein to ensure all the information and facts about swimming in Schleswig-Holstein is valid. Going to a Schleswig-Holstein Pool is increasing specifically within the elderly population sectors of Schleswig-Holstein, who have suffered some type of muscle or bone damage. Please make contact with the sports center in Schleswig-Holstein to check which activities are being offered and their timetables, considering that Schleswig-Holstein Pools may possibly have various rules and fares than other places. Enjoy the best indoor pools in Schleswig-Holstein and don't worry about the weather. These facilities are open all seasons and you can enjoy a swim at the same temperature every day of the year. There are many reasons why you must choose a heated swimming pool in Schleswig-Holstein. Essentially the most crucial one relies on the importance of keeping the body temperature stable. If the water is too cold, your body will try to warm it up and you will lose strength to swim appropriately. One on the advantages of outdoor swimming in Schleswig-Holstein may be the possibility to sunbathe in the course of the summer time season. Taking it with added care, sunbathing is healthful since introduces Vitamin D into the body, so the best option seems to be switching between indoor and outdoor pools depending on the season. There are a lot of alternative remedies to chlorination, with excellent advantages that ensure far better water top quality in the pool. 1 possibility could be the mineralizer, which purifies water naturally and significantly decreases the chemicals employed and maintenance time. 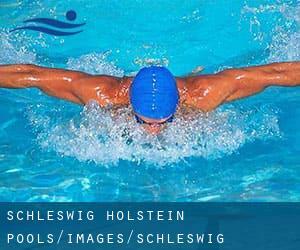 Try Chlorine Free pools in Schleswig-Holstein. If you're tired of having eyes and irritated skin, finding a saltwater pool in Schleswig-Holstein might be the resolution. You must understand that the level of salt from these pools is effectively beneath the level of salt from sea water, specifically they are talking about a tenth or much less. Without a shadow of a doubt, swimming in Elmshorn would be the ideal method to unwind right after perform. Take a couple of minutes to browse Swimia's catalog to find a Swimming Pool in Elmshorn. Without a shadow of a doubt, swimming in Eckernförde is the best approach to unwind right after work. Take a couple of minutes to browse Swimia's catalog to find a Pool in Eckernförde. Holding an estimated population of 24.322, Bad Oldesloe is among the most important cities in Schleswig-Holstein. Check all the Swimming Pool in Bad Oldesloe and its surrounding area. Holding an estimated population of 85.838, Flensburg is one of the most important cities in Schleswig-Holstein. Check all of the Swimming Pool in Flensburg and its surrounding area. Let us tell you a secret to switch off although you might be in Ahrensburg: just opt for a Swimming Pool in Ahrensburg and plunge into the water! There's no far more powerful technique. Whereas Wedel is one of the six most populous cities in Schleswig-Holstein with nearly 31.995 residents, you shouldn't miss that one if you're going to Schleswig-Holstein. Swimming is a outstanding thought to help keep your body active for the duration of your visit to Henstedt-Ulzburg (Schleswig-Holstein), or even should you be a local. Swimia assists you to discover your closest Swimming Pool in Henstedt-Ulzburg. It's difficult to visit Schleswig-Holstein devoid of dropping by Geesthacht (with 29.487 residents). At present Swimia is showing you all the Swimming Pool in Geesthacht and the closest pools situated in its vicinity. Updated on 2019 Eutiner Straße 45 , Bad Malente - Gremsmuehlen , GERMANY. Swimmers like you reported 25 meters, Indoors. Phone number and e-mail address are number for this Swimming Pool. Updated on 2019 Klosterbrunnen 4 , Itzehoe , GERMANY (Postal Code: 25524). Swimmers like you reported Olympic size x 20 meters, Indoors. Unfortunately we do not have the e-mail address of this Swimming Pool, but we can give you the phone number. Updated on 2019 Sterleyer Straße 44 , Moelln , GERMANY (Postal Code: 23879). Among all the activities offered by the center, when you are keen on swimming you will enjoy 25 meters, 5 lanes, 0.8 meters - 2.2 meters depth, 0.8 meters - 2.2 meters depth, Indoors. Just in case you need to contact this Swimming Pool just before dropping by, we only know the phone number. Updated on 2019 Am Schulzentrum 4 , Wilster , GERMANY (Postal Code: 25554). This sports center gives 25 meters x 12.5 meters, 5 lanes, 1.8 meters depth, 1.8 meters depth, Indoors. For this Pool, only phone number is number here. Updated on 2019 Am Hallenbad 14 , Norderstedt , GERMANY (Postal Code: 22850). Swimmers like you reported 25 meters, 6 lanes, Indoors. Phone number and e-mail address are number for this Swimming Pool. Updated on 2019 Rudolf-Breitscheid-Straße 40 , Wedel , GERMANY (Postal Code: 22880). This sports center offers 25 meters, Indoors. Contact information for this Swimming Pool for example phone number and email address are number. Updated on 2019 Hansaring 177 , Neumuenster , GERMANY (Postal Code: 24534). This sports center offers 25 meters, 5 lanes, Indoors. Contact facts for this Swimming Pool including phone number and e-mail address are number. Updated on 2019 Friedrich-Ebert-Straße 1 , Schleswig , GERMANY (Postal Code: 24837). Swimmers like you reported 25 meters x 12.5 meters, 5 lanes, Indoors. Unfortunately we do not have the email address of this Swimming Pool, but we can give you the phone number. Updated on 2019 Kleiner Sand , Uetersen , GERMANY (Postal Code: 25436). Swimmers like you reported 25 meters, 4 lanes, 1.8 meters depth, 1.8 meters depth, Indoors. Unfortunately we do not have the e-mail address of this Swimming Pool, but we can give you the phone number. Updated on 2019 Ziegelstraße 152 , Luebeck , GERMANY (Postal Code: 23556). Swimmers like you reported Olympic size x 21 meters, 8 lanes, 1.8 meters - 3.8 meters depth, 1.8 meters - 3.8 meters depth, Indoors. Phone number and e-mail address are number for this Swimming Pool. Updated on 2019 Olympiazentrum , Drachenbahn 18 , Schilksee , Kiel , GERMANY (Postal Code: 24159). This sports center offers 25 meters, 5 lanes, 2.3 meters - 4 meters depth, 2.3 meters - 4 meters depth, Salt Water, Indoors. For this Pool, only phone number is number here. Updated on 2019 Flenderstraße 87a , Luebeck , GERMANY (Postal Code: 23569). Among all the activities offered by the center, should you be enthusiastic about swimming you'll take pleasure in 25 meters x 10 meters, 0.8 meters - 3 meters depth, 0.8 meters - 3 meters depth, Indoors. If you should make contact with this Pool, email address and phone number are both number. Updated on 2019 Fackenburger Allee 3 , Luebeck , GERMANY (Postal Code: 23554). Among all of the activities supplied by the center, in case you are interested in swimming you can delight in 20 meters, Indoors. If you have to make contact with this Swimming Pool, e-mail address and phone number are both number. Updated on 2019 Olshausenstraße 74 , Kiel , GERMANY (Postal Code: 24098). Among all the activities supplied by the center, in case you are keen on swimming you will get pleasure from Olympic size, 6 lanes, Indoors. If you might want to contact this Swimming Pool, email address and phone number are both number. Updated on 2019 Barbarastraße 7 , Kappeln , GERMANY (Postal Code: 24376). Among all the activities provided by the center, in case you are considering swimming you might take pleasure in 25 meters, 5 lanes, 1.1 meters - 4 meters depth, 1.1 meters - 4 meters depth, Indoors. If you need to contact this Swimming Pool, email address and phone number are both number.